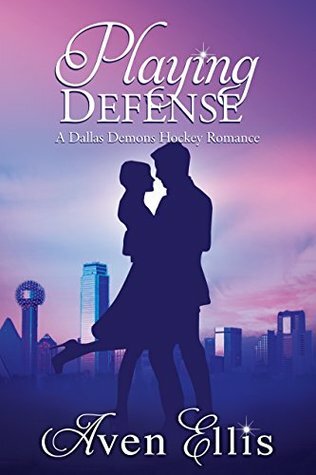 Aven is back with another Dallas Demons hockey romance! In Playing Defense we meet Swiss stud JP and oreo obsessed fitness model Reese! Being that this is another installment in the Demons series, we get to catch up with all of our fave couples which I love! After an intense fitness shoot Reese is tired and sweaty but dying for a burger and Oreo shake and unexpectedly ends up sharing fries and onion rings with JP…only to start the convo by telling JP she normally bathes before going out! Thankfully that doesn’t scare him away and the dates just get better and better! All of the cute little surprises and fun adventures JP and Reese do for one another is simply adorable, their chemistry is HOT, and the relationship just seems to flow perfectly like they were always meant to be, but they do have to work through their fair share of conflicts and problems. JP is OVER women and relationships. He wants to fall in love, get married, and have kids, but all the women he meets aren’t ready for anything serious. Reese doesn’t want to open her heart after being hurt, she knows the “love” her parents had wasn’t real so she just doesn’t want to let anyone close to her. Can Oreos, Turkish coffee, disdain for ice cubes, and fun graphic tees pave the way for these soul mates to realize their love is real?